Law students from across the country will be descending on Fredericton today for the national round of a highly competitive international law competition. Up to 200 students, judges and volunteers will be convening for the Canadian finals of the Philip C. Jessup International Law Moot Court Competition today through Saturday, hosted by the University of New Brunswick Faculty of Law. 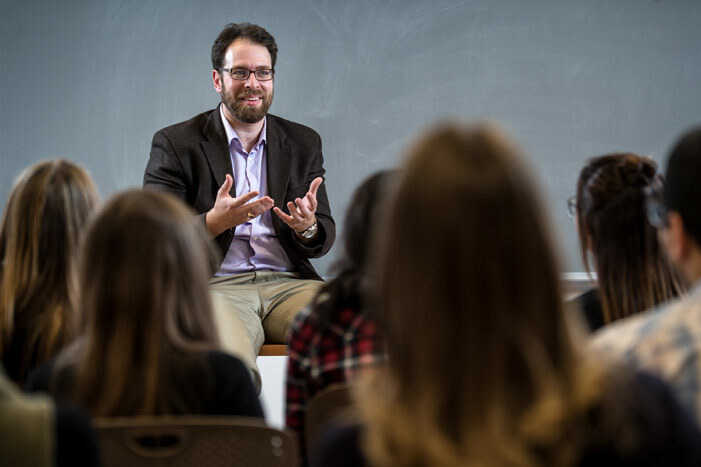 Competing in the most demanding moot court in the world is an experience that can change lives or careers, says Michael Marin, an assistant professor of law at UNB and an organizer for the national competition here. At the international level, the Jessup involves about 2,000 students from 100 countries around the globe every year, with about 400 advancing to the finals in Washington, D.C. Students argue complex cases that take international lawyers up to a year to develop. This year, in an echo of real-life world tensions, the case revolves around nuclear ambitions by a rogue republic. The national round will see students from law schools across the country, including UNB, vie for the right to represent Canada. Top judges will hear the teams argue their cases in Fredericton, including Supreme Court of Canada Justice Malcolm Rowe and Justice Marc Richard of the Court of Appeal of New Brunswick. Sixteen teams will compete over the three days. Two teams will be selected to move on to represent Canada at the international moot, which will be held the first week of April in Washington. Garreth Mcgrath, a UNB Law alumnus, competed in the Jessup in 2017 and will be among the judges in Fredericton this week. He says the experience bolstered his confidence immeasurably. Photo: Michael Marin, an assistant professor of law at the University of New Brunswick, is an organizer with the Canadian finals of the Philip C. Jessup International Law Moot Court Competition being held in Fredericton on Feb. 22 to 24, 2018. Credit: Rob Blanchard/Photo UNB.